We love being outside. It’s not uncommon to find us fishing, hiking, biking, or floating down the river. We are fortunate to be based in Steamboat Springs, Colorado where outdoor activities are abundant throughout all seasons. We appreciate and value our customers and strive to provide high-quality products and excellent service. Ed’s fishing journey began when he was 8 years old and decided to try fishing in a canal near his house in Florida. After catching a few bass, he was hooked. He continued his time on the water when he moved to Pennsylvania, and it was only natural to try fly fishing when he moved to Colorado. Fly fishing became a genuine passion for Ed because it combined the enjoyment of fishing with being outdoors in the water. In combination with being on the river, Ed started tying his own flies. He found fly tying to be engaging and gratifying. He would spend hours in front of a fly tying vise perfecting flies for his next fishing adventure. He was approached by a machine shop, that made the fly tying vise that he used, to sell their vises. Without hesitation, Ed began sharing his knowledge and selling vises to fellow anglers. Over time, Ed expanded the shop's product offerings and grew lifelong friendships in fly fishing. 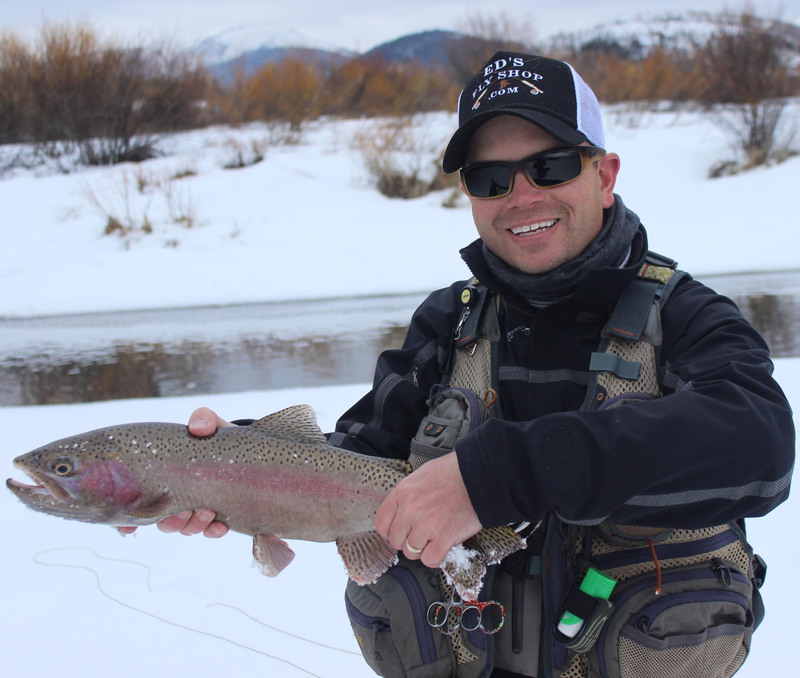 Ed finds it most rewarding to help new and experienced anglers, alike, with their fly fishing queries and determine the right gear for their fly fishing needs. To date, Ed’s most memorable fishing adventure was in Alaska where he caught a 30-inch rainbow on the Kenai. Michelle’s love of fishing started at a young age when she would troll for bass and walleye with her dad and grandpa in Nebraska and Kansas. She can remember spending an entire day sitting in the boat waiting for a bite. When not fishing in a boat, Michelle enjoyed fishing at her parents nearby bass pond. When Michelle moved to Colorado, fly fishing was on the list of activities to try in the mountains. Michelle found her time on the river to be peaceful and reminiscent of her childhood. She enjoyed being outdoors and refining her casting and setting skills. She began participating in women’s fly fishing clinics and found other newcomers that enjoyed fly fishing as much as she did. 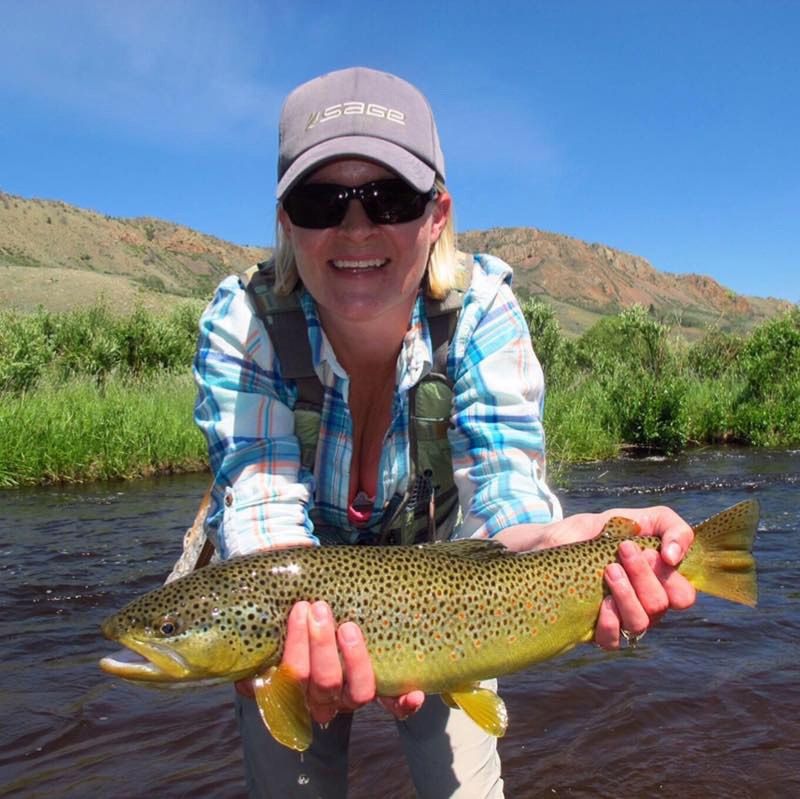 Michelle became a promoter for newcomers in fly fishing and joined the shop in 2016. Michelle’s most memorable fishing adventure was in North Park, Colorado where she caught 24-inch brown trout.